Some time ago, I started a story inspired by a trip to Alaska, but I never finished it. I had planned to tell the story of a Danaina Athabaskan Indian Maiden from Elutna, Alaska. I ran short of research information, so I switched to something else, I know better...the old west. 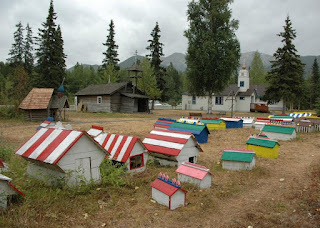 Still, I'm fascinated by the over one hundred spirit houses that surround St. Nicholas' church in the historical Eklutna burial ground, so I'm going to share a little info with you. 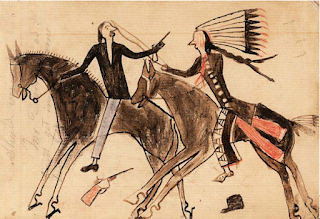 Indian didn't just exist in an area we consider the "old west." Back in the early 1800s, Catholic missionaries came to Alaska and thrived among the many tribes dwelling at the mouth of the Eklutna River. As was the custom before the arrival of the Russian Orthodox, deceased Athabaskan were cremated by the tribe, but as cultures blended and Catholic belief forbade cremation, spirit houses cropped up around the church.. When a person died, they were laid out beneath a blanket and a layer of stones to keep them warm for the forty days the Indians believed a person's spirit lingered. A spirit house was built to shelter the corpse and keep the departed from dwelling among the living, and the family painted the house in their own traditional colors. A cross, reminiscent of the one on which Christ was crucified was erected as a final touch. Some believe Spirit Houses were necessary because the ground was quite frequently frozen and unyielding to grave digging, but history tells us that the unique buildings were part of the Athabaskan belief. Just a point of reference, I learned...the Alaskan tribe are tied linguistically to the Navajo and Apaches. Unlike the upkeep of burial plots here in America, Athabaskan's believe that which is taken from the earth must return to the earth, thus the houses are left to decay and rot. When touring the resting place, it's not uncommon to see new houses of those with Danaina ancestry stand among the ruins of the old. 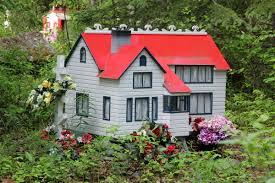 The homes...some realistically complete with flower boxes and draperies, are said to represent the level of grieving. Small houses indicate the passing of a child, and I was moved by the large amount of those at Eklutna. The number of those lost made sense when I learned a small pox epidemic wiped out a large portion of the tribe in the 1830s. If you ever make a trip to Alaska, I urge you to visit the historical resting place in Eklutna, not far from Anchorage. Margaret A. Wilcox invented the car heater in 1893. She also invented a combined clothes and dishwasher machine which evidently did not go over well. This popular board game was designed by Elizabeth Magie in 1904. Originally called The Landlord's Game, it's purpose was to expose the injustices of unchecked capitalism. Charles Darrow stole the game and sold it to Parker Brothers 30 years later, but she did receive $500 from Parker Brothers. The Life Raft was invented by Maria Beasely in 1882 (Maria also invented a machine that makes barrels). The electric refrigerator was invented by Florence Parpart in 1914 (She also invented an improved street cleaning machine). The ice cream maker was invented by a woman named Nancy Johnson in 1843. Her patented design is still used today. Ada Lovelace is essentially the first computer programmer due to her work with Charles Babbage at the University of London in 1842. In fact, her notes were an essential key to helping Alan Turing's work on the first modern computers in the 1940s. Some of the Telecommunication Technology developed by Dr. Shirley Jackson include portable fax, touch tone telephone, solar cells, fiber optic cables and the technology behind caller ID and call waiting. The dishwasher was invented by Josephine Cochrane in 1887. She even marketed her machine to hotel owners and opened her own factory without the help of a man. Hedy Lamarr, world famous film star, invented a secret communications system during WWII for radio-controlling torpedoes. This technology also paved the way for everything from Wi-Fi to GPS. Although Alice Parker's invention in 1919 of a gas powered central heater was never manufactured, her idea was the first that allowed use of natural gas to heat a home, inspiring the central heating systems used today. This life-saving material which is five times stronger than steel and used to make bulletproof vests was invented in 1965 by Stephanie Kwolek. Dr. Grace Murray Hopper, a computer scientist, invented COBOL, the first user-friendly business computer software system in the 1940s. She was also a Rear Admiral in the U.S. Navy and the first person to use the term "bug" in reference to a glitch in a computer system when she literally found a bug (moth) causing problems with her computer. According to Bear Historian Jane Peyton, Mesopotamian women were the first to develop, sell and drink beer. The Lakota have long been a favorite tribe in my writing, and as you can imagine, we don't always speak the same language. 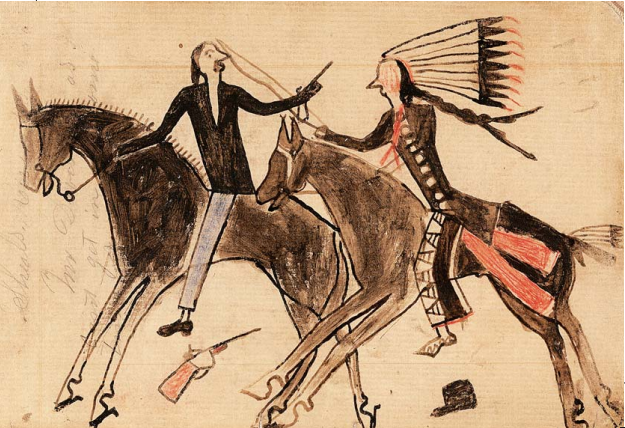 The Plains Indians, about which I write, were a proud people, and even in warfare, there were honors and recognition to be earned. In fact, the more risks one took, the more honor he brought to himself and his tribe. 'Coup', I learned comes from a french word meaning, 'blow.' Coup was counted when a warrior was able to touch an enemy...often with a long stick aptly named a 'coup stick', or even their lance or bow. The warrior received more honor when an opponent was not killed. Coup was counted on women and children as well, or touching the tepee of an enemy or his horse. 'Touching' in some form was required, as killing an enemy from a distance with an arrow or bullet did nothing to garner favor. A warrior who claimed to have counted coup was expected to describe his deed in great detail before the tribal council, and MUST have someone who witnessed the act. If the story was found to be truthful, then the warrior was awarded a tail feather from a golden eagle...a bird admired for it's own courage and swiftness. An array of feathers was not a uncommon sight as young men vied to add to their reputation and the ability to recount their brave deeds at various ceremonies. 1. First coup - A feather to be worn upright with a horsehair tuft at the top. 2. Wearer wounded - Upright feather dyed red. 4. Wearer killed foe - Red spot on feather. 5. Wearer cut foe's throat and took scalp - notch in feather. 6. Wearer wounded many times - Split feather. 7. Wearer cut foe's throat - Top of feather clipped on diagonal. 8. Wearer counted coup four times - Serrated ages on feather. 9. Wearer counted coup five times - Side of feather partially removed. So, you can see, there was a lot to remember in recognizing counting coup and equally as much work put into preparing the proper feather for each claim. I absolutely despise folded up, taco-resembling straw hats that come from Target or Walmart. People call them cowboy hats, but no self respecting cowboy would be caught dead in one of these. To me, a cowboy hat is a Resistol, a Bailey or a Stetson. In a couple of instances, I have used Resistol or Bailey in a story and the editor has asked me to change it to Stetson. They are the most known of the hat brands. John B. Stetson was born in 1830 in New Jersey, and he worked for his father, who was a hatter. Because his health was poor, John B. Stetson headed to Colorado. On a hunting trip, he made a fur hat because beaver pelt could hold its shape better than fabric. In 1865, John B. Stetson went back east, to Philadelphia, where he produced hats. Based on that hat he made for his hunting trip, he made his first hat based on his western experiences. It was called “Boss of the Plains”. Stetson sent a sample hat to merchants throughout the Southwest with a letter asking for an order. Cowboys across the west went crazy for the hat and in less than a year, Stetson had a new factory. His hats were very expensive and a cowboy wearing a Stetson was thought to be doing well. The shape varied. The shape of the hat's crown and brim were often modified by being held over hot steam, shaped, and allowed to dry and cool. Felt tends to keep the shape in which it dries. Early cowboys favored high crown and wide brims. Maybe the reason most people associate a cowboy hat with a Stetson is that by 1886 Stetson's hat company was the largest in the world, and had mechanized the hat-making industry. In the 19th century and first half of the 20th century, both cowboys and city dwellers wore the Stetson. Women also wore Stetson hats. Military and police can be found in Stetson hats. Movie stars and singers wear the brand. But the most likely place to find a one of John B. Stetson’s hats is still on the head of a cowboy or cowgirl.